It’s an appealing career for many, with high demand, strong salary potential, and the opportunity to help others. However, for those that are interested in starting a career as a nurse, the path can also seem daunting: high tuition costs and years of schooling can make it seem out of reach. As a result, despite increasing opportunities in the field, hospitals and medical facilities continue to report there aren’t enough qualified applicants for their nursing positions. 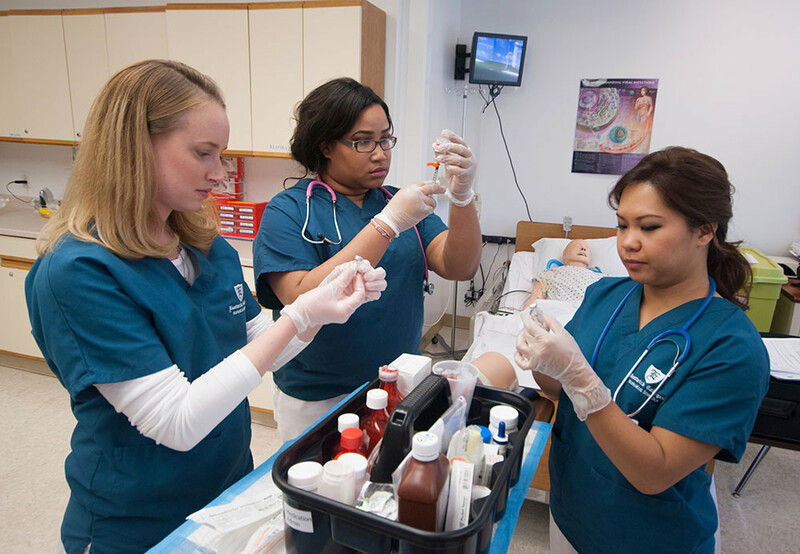 Eastwick College Hackensack offers a solution through their accelerated nursing programs. Nursing students at Eastwick College are able to complete their licensed practical nursing (LPN) studies in just 12 months through the day schedule, fully prepared to take their NCLEX-PN exams thanks in part to the college’s focused class schedule structure. You won’t find a year’s worth of gen ed courses as part of any student’s schedule here: instead, they’ve done away with the unrelated curriculum and focused each program on the skills and training that a graduate will need when they start their new career. So a nursing student isn’t required to study US History I or Philosophy 101. This means less time and money spent on classes they don’t need. Eastwick also offers a unique bilingual LPN program, designed to meet the growing demand for nurses that are able to effectively communicate with patients for whom English may not be their primary language. It’s a career that can play a critical role in the healthcare system: if a patient is unable to properly explain the health problems they’re experiencing due to language barriers it can cause serious complications with the the procedures or treatments they receive. And in many communities there is a significant underrepresentation of many ethnic minorities in the nursing population. With this in mind, the curriculum includes 600 hours of ESL courses on nursing communications to help ELS-level students enter the nursing field. While the program isn’t designed to provide full ESL instruction, it does allow a student to learn a large variety of healthcare experiencing due to language barriers it can cause serious complications with the the procedures or treatments they receive. And in many communities there is a significant underrepresentation of many ethnic minorities in the nursing population. With this in mind, the curriculum includes 600 hours of ESL courses on nursing communications to help ELS-level students enter the nursing field. While the program isn’t designed to provide full ESL instruction, it does allow a student to learn a large variety of healthcare terminology so that they can achieve higher grades on the NCLEX exam and start their nursing careers. After completing the accelerated LPN program at Eastwick College and passing their NCLEX-PN exams, graduates are in an excellent position to begin their nursing careers as LPNs, with an average salary of $53,850 in the NY/NJ Metro Area according to the U.S. Department of Labor’s Occupational Outlook Handbook, and 117,300 new jobs expected by 2024 – a job growth more than double the national average for all occupations. “Considering the potential for rewarding work, strong salary potential and room for advancement, it’s an incredible opportunity for only one year of school” explains President Eastwick. Learn more about the LPN program and the Bilingual LPN program at Eastwick College in Hackensack.